Stunning highly coveted D floor plan located on the 23rd floor of The Omni Hotel and Residences. Enjoy the spectacular unobstructed views throughout this condo as you overlook the majestic Ft. Worth skyline! This open plan boasts of 10 ft floor to ceiling windows with power shades, tiled baths, berber carpet, built in Viking appliances, and beautiful wood floors. 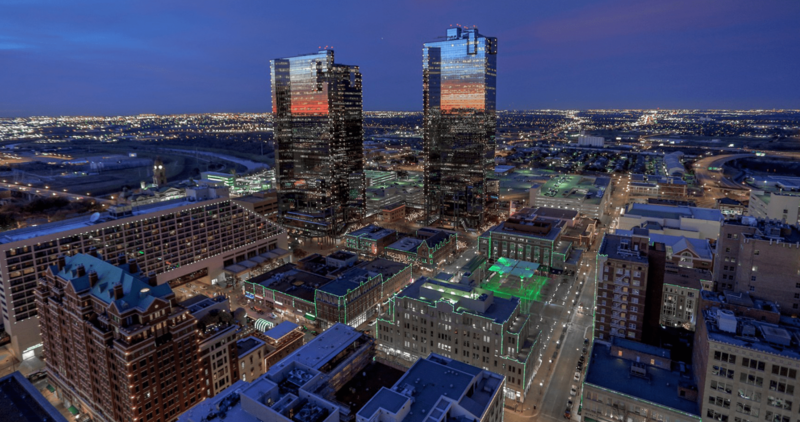 Omni living is reserved for some of the most exclusive residents in Fort Worth with access to 24-hour concierge, Mokara Spa, 5 fabulous restaurants, Valet parking, 24-hr Security, Doorman, private pool, private elevators, gym, and access to all OMNI Hotel amenities! This unit includes 2 assigned parking spaces with a EV Plug.